Debbie has sewn all of her life and had her own alterations business for over 10 years. 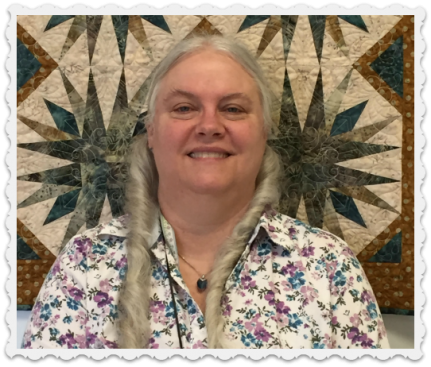 An avid crafter who loves to knit when she has any spare time, Debbie took her first quilting class a year ago and has been hooked ever since . She has lived in Franklin for 20 years but prior to that, her work as a missionary had her calling exotic locales like Africa and Alaska home. Favorite way to vacation: On a cruise to anywhere! Favorite breed of dog: King Charles Spaniels especially since I just raised a littler of them.